Modern Day Witness is written by Father Richard Jasper, Associate Pastor of St. Ann Church in Wilmington, Delaware, to highlight the lives and work of Catholic men and women, many of whom have lived and worked in recent years, who are models of discipleship. 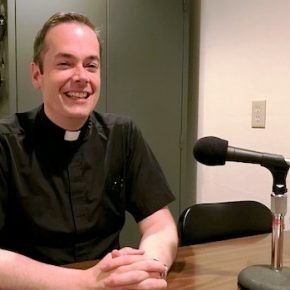 Father Jasper will present a new edition of Modern Day Witness most weekd on the Catholic Forum radio program/podcast, beginning April 27, 2019.
nown even from early childhood as one who had great compassion for the less fortunate. 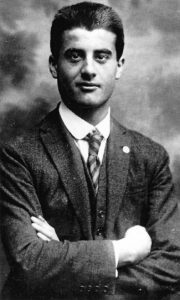 An average high school student known more for his love of mountain-climbing, authentic piety and sense of social justice, he was once arrested in Rome for protesting with a Catholic youth organization against Facism and the Mussolini regime. In college, he chose to study engineering, and when offered the choice of a car or money to aid his education, he picked the money in order to assist the poor instead of himself. He also fell in love with an outspoken and genuinely good young woman, but never pursued her over concerns of what his parents would think of her. It was the poor of Turin who immediately began calling for Pier-Giorgio’s canonization. He was finally beatified in 1990, and has since become a patron for Catholic young adults, Catholic men’s groups, and Catholic sports programs. 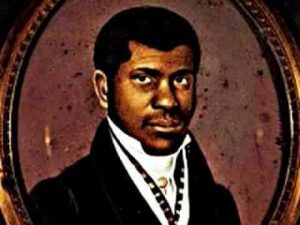 slave rebellion began in 1787, the family who “owned” him took him to New York, where they began a new life. Trained as a hairdresser to the wealthy once he was settled in the United States, he voluntarily took on the financial support of his master’s wife upon the death of her husband. On her own deathbed a few years later, she demanded that he be set free, and in so doing, he was then able to pay for the freedom of his sister. Falling in love with a slave girl 20 years his junior, he purchased her freedom, married her, and then adopted his deceased sister’s daughter and raised her as his own. Together, this family supported many New York City charities, including bringing orphans into their home and raising them. Pierre Toussaint attended daily Mass for 66 years at St. Peter’s Church, very rarely missing a day. He also helped train other Haitian immigrants to cut/style hair, and he was the one responsible for raising funds to build the original cathedral in New York. Pierre died in 1853 at the age of 87, and remains the only lay person buried in the crypt at the new St. Patrick’s Cathedral on Fifth Avenue. He was declared ‘venerable’ in 1996. Born in Sassello, Italy, in 1971 to a couple who prayed for 11 years to have a child, Chiara Badano became their greatest blessing. By all accounts, the family of 3 had a strong, healthy relationship with occasional typical teenage outbursts. Shortly after joining an Italian Catholic organization called Focolare (which creates encounters with Jesus Forsaken), she began feeling sharp shoulder pains while playing tennis. Doctors soon determined it to be bone cancer. By 1989, Chiara Badano was repeatedly hospitalized, refusing morphine so she could stay “aware” and often offering to go on walks with other patients battling depression. One of her final gifts was making reservations for her parents to go on a Valentine’s dinner-date at a local favorite restaurant, for they never left her bedside. 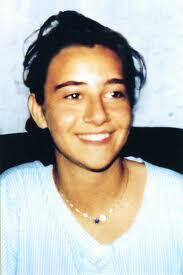 Chiara died in October 1990 after making her Confession and receiving Eucharist. On the day of her funeral, her entire hometown was ordered shutdown by the mayor so that all could attend her Mass. Chiara was declared ‘venerable’ in 2008. Born in Glendale, Ohio, in 1895, she spent most of her childhood in Butte, Montana, until the age of 15. When her uncle died in a tragic accident in Africa, her parents (both Italians by birth) returned to Parma, Italy in order to care for their aging parents. became a lay member of the local Benedictine religious community and was known locally for her many charitable contributions to poor families in the outskirts of her city. However, a year later in 1944, an Easter postcard with the words “Give All” changed the mind and heart of Celestina Bottego. 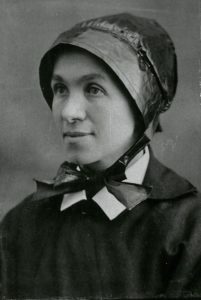 This native Ohioan became the Mother Superior of the community she founded, but later resigned so that other women had opportunities to develop leadership skills. Mother Celestina died in 1980 and was declared ‘venerable’ by Pope Francis in 2013. Baptized Rosa-Maria in 1850 in Genoa, Italy, Sister Blandina Segale, moved with her family to Ohio at age 4. From an early age she desired to join the religious sisters who had a profound impact on her young life and in her new city: the Sisters of Charity of Cincinnati. Joining the convent at age 16, she was first assigned to teach grammar school in Dayton but was later sent on mission to both Colorado and New Mexico, where she established both Catholic and public schools in those states. Throughout her time in the Southwest, she became known for her advocacy against the then-common practice of lynching. In Santa Fe, she built schools, a hospital, visited miners on site, and even nursed famed outlaw Billy the Kid while he was in prison. 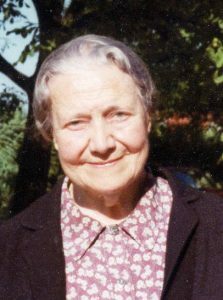 Sister Blandina Segale eventually returned to Cincinnati, where she died in 1941 at the age of 91. Many fascinating legends have arisen in American pop-culture around the “Nun with Spurs,” including character portrayals based on her life in the TV and motion picture Westerns popular in the 1950s and ’60s. Sister Blandina’s cause for canonization was recently opened in 2015, thanks to the Archdiocese of Santa Fe.